Is Your Home Page Just One Big Cliche? There are literally zillions of articles and resources out there telling us how to create a good home or landing page. And there’s definitely an argument for adopting best (and/or most successful) practices in our work. But when does successful trend become cliche? Examples? I have them: AirBnB, Rdio, Asana. Three very different offerings using basically the same layout to communicate their key messages. There are other options: two columns, rather than three, for example. But all of these are pretty standard formats. They’re familiar to most of us now. Predictability, usability â€¦ and communication? We know that familiar visual patterns are reassuring to web users. When I visit any of the pages above, I have a pretty clear idea of what I can expect where. I can preempt, at least to some degree, what I’ll find. And I can undertake my browsing or research experience accordingly. This has its prosâ€”it anchors my experience on your site to some degree, and helps me to feel comfortable. But it also has cons. I could miss important information you’ve included in, say, your hero video, because I never bother to watch hero videos. In fact, since pretty much every site I visit has a massive hero at its top, it feels like I spend my life scrolling past heroes to get to the meat and potatoesâ€”the informational content. These aren’t insurmountable problems, though. They’re just communications challenges. The real problems arise when your brand chooses to adhere slavishly to a prescribed layout, and ends up struggling to communicate your point of difference as a result. Predictability, sameishness â€¦ and boredom? 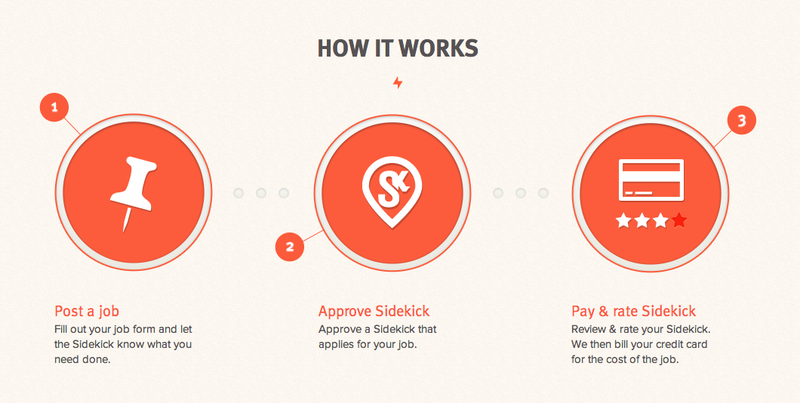 Recently a client who was redeveloping their home page wanted to include a three-step How It Works section, something like the one on GetSidekicker. Fine. But as we set about working out the messaging for each step, the client looked sheepish. When we looked at the sites of his few competitors, they all explained their processes in three steps. He wanted the same thing, even though his process was simplerâ€”and that simplicity was key to his service’s unique selling point. Last week, when we talked about testing your web copy, I suggested developing layout and copy together. This is another reason for that argument. Why make your messages fit a prescribed, me-too layout when you can shape a uniqueâ€”and still familiar and usableâ€”format that supports your unique brand message? The site for OMO laundry detergent positions the brand differently from competitors Tide and Surf, in part because they use layout to communicate different messages. The layout uses a banner image, rather than a big hero image or carouselâ€”a design choice made, we could speculate, so that users can get straight to the content on the home page, which communicates exactly what the brand is about: letting kids be messy. And the banner imageâ€”a childâ€”backs up the messaging communicated through the text. What about online apps? In the realm of “productivity tools”, compare Postbox with Teambox. The first is an email client, the second is a collaboration tool, but the layouts and presentations are pretty darn similar. In this sea of sameishness, a service that more clearly focuses on its point of difference, like Basecamp, may well stand out more in your mind, and your memory. While the other services focus on listing features, Basecamp uses its much-loved market position to convince you: real people use it all the time. And it does so with much less text (and very different imagery) than the others. Do you use a standard layout on your homepage? How clearly does it allow you to communicate your key brand messages, and how much does it restrict you? Tell us in the comments.